This is how you haul a large evergreen tree. It’s time for our Annual Christmas Tree Hauling Contest to begin! We’re looking for a photo of the biggest, baddest, bushiest Christmas Tree haul ever! 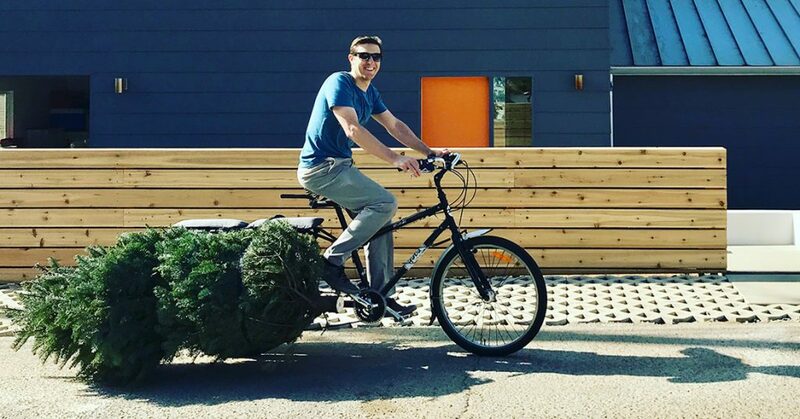 There’s more than one way to strap a large evergreen tree to a not as large cargo bike and we can’t wait to see how you haul it. The Winner scores $100 to spend on the Online Store + mad props on social media! *Entering your photo in the contest automatically grants us permission to use it online.